Matt Cook is a GRAMMY® Award winning percussionist based in Los Angeles, CA. He is known for his work with the Los Angeles Percussion Quartet, the experimental classical ensemble WildUP, and microtonal band PARTCH. In addition to these ensembles, he is involved in projects ranging from pop-folk music to jazz and international ensembles. Matt’s work is often heard on studio recordings, but he can be seen performing live in major concert halls and intimate music venues across the country. As a drummer and world percussionist Matt has performed with singers Sarah LaForge, Claudia Vasquez, Anthony Starble, and freelances with several pop/rock groups. His versatility on drum set and mallet percussion has lead to work on theater productions and makes him an asset in the recording industry working on films ranging from independent thrillers to major motion pictures. Recent classical engagements have featured Matt with LA Philharmonic's Green Umbrella Series, San Francisco Symphony’s American Mavericks Series, the California E.A.R. Unit, Sonic Generator, and several symphony orchestras. Working closely living composers to commission new work - Matt has performed on every major “new music” series in Southern California. He has been recorded on the NAXOS, Bridge, Red LetterBox, New World, and Sono Luminus record labels. Matt recently won the Grammy Award for best Classical Compendium Album at the 57th Annual GRAMMY Awards for his work on "Plectra & Percussion Dances" with the Partch ensemble. Also nominated in the category of Best Chamber Music Performance, Partch is a Los Angeles based group committed to performing the music of Harry Partch. This makes Matthew a four-time nominee following his previous two nominations with the Los Angeles Percussion Quartet (LAPQ). Through his success with the LAPQ, Matt has earned international recognition as an authority in percussion chamber music. Their 2012 release, “Rupa-Khanda” was nominated for three awards at the for the 55th Annual GRAMMY® Awards including “Best Small Group”. In addition to their debut success, LAPQ’s 2014 recording, “The Year Before Yesterday”, was selected among iTunes “Best of 2014” classical music albums. 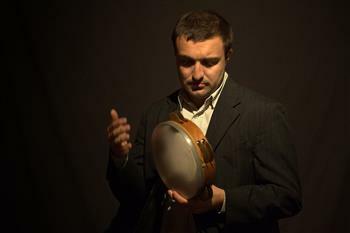 As an educator, Matt has been a featured clinician and performer at several universities including The San Francisco Conservatory of Music and the University of Southern California as well as at events like the Percussive Arts Society’s Days of Percussion and the American Composers Jazz Institute. He has experience consulting and designing curriculum for university students and k-12 programs with success securing them scholarships to major conservatories and Honor bands across the country. His virtual percussion course can be taken on www.MusicProfessor.com where he takes students through all of the basic aspects of percussion and rhythm. A graduate of The Oberlin Conservatory of Music (BM) and California Institute of the Arts (MFA), he currently leads the Percussion Department at Ventura College in Ventura, California and teaches Music Theory at Occidental College. Matt is a Yamaha Performing Artist and is a proud to endorse products from Innovative Percussion, Black Swamp, REMO, and Sabian Cymbals. Mallet Quartet, scored for two vibraphones and two 5-octave marimbas, is a piece that was commissioned by Los Angeles Percussion Quartet and composed by Joe Pereira. The work, written to consider all elements of sound for these instruments, was premiered at the Percussive Arts Society International Convention in Indianapolis, Indiana on November 15, 2013. In 2014, LAPQ recorded this piece on their second album with Sono Luminus Records, entitled The Year Before Yesterday, and was rated "Best of 2014" in the Classical Music category from iTunes. The Los Angeles Percussion Quartet is excited to announce the release of their second album, The Year Before Yesterday, to follow up their critically acclaimed and Multi-GRAMMY® Nominated album Rupa-Khandha, which received wide-spread praise for both the performance and audio presentation.